Big Daddy&apos;s Pizzeria-Owned by a local family restaurant group (Johnson Family Restaurants), this is your home for wood-fired brick oven specialties. The menu also has a wide complement of salads and deli sandwiches that are not necessarily Italian. Dough is made onsite daily with fresh ingredients. Friendly and quite tasty, this restaurant is a pleasing, large group location. There is also an arcade of video games for those who consider electronics a necessary side item to their pizza experience. Big Daddy&apos;s offers locations in Pigeon Forge, Sevierville, and Gatlinburg. Mellow Mushroom-Okay, it&apos;s fair to say that anyone from east of the Mississippi River should be familiar with this regional chain. Yet it is worth consideration, particularly if you have never had the Mellow experience. Artisan pizza done any way that you like, this is your location if you like something different for toppings, from artichokes to shiitake mushrooms to tofu. Calzones, hoagies, and salads are offered as alternatives to pizza. If anyone in your family is dietary gluten-free, the restaurant offers both gluten-free crust and an array of toppings from which to choose. A fun atmosphere adds a bit of bohemian vibe to the dining experience. There are two locations for Mellow Mushroom in Pigeon Forge (one at 2485 Parkway and one at the Island Entertainment Complex), and also a location in Gatlinburg. J. Dels Pizza-Authentic New York-style, fold-it-up pizza can be inhaled by the slice or the entire pie at this true Mom-and-Pop shop located at 2664 Teaster Lane in Pigeon Forge. 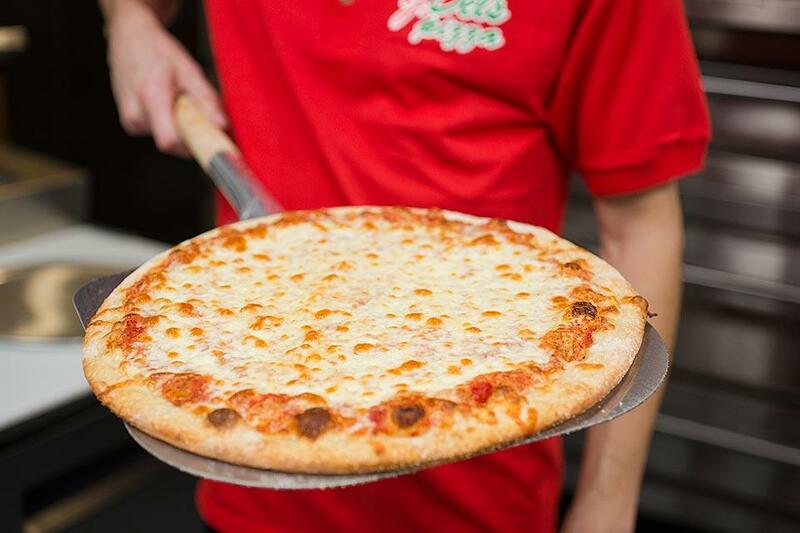 Available for in-store dining, carry out, or delivery, this restaurant will not fail your taste expectations for high quality, hand-tossed (in the air, behind the counter) pizza. They also offer Chicago thin-style (square-cut crunchy) if desired. Garlic knots beforehand as an appetizer can tame the hungry crew while you wait for the made-to-order selection of your choice. Chicago hotdogs, fresh pastas, Italian subs, and homemade meatballs are all also worthy of attention here. But even after you have finished every last bite of pizza, don not think of missing the dessert offering. Cinnamon knots with cream cheese icing, the owner&apos;s homemade zeppole (which is a powdered doughnut type treat with sauces for dipping), authentic New York cheesecake, and even gelato…do I have your attention? If you have a sweet tooth, this is a delectable location to satisfy it post-pizza. Clean, friendly, and true Italian family-owned, this local business is most worthy of your attention. Best pizza in town? Depends on what your personal preferences include for pizza (thinking my own are a little obvious). Hopefully these descriptions will give you a start to the location that will give you your own pizza perfection while on vacation. It&apos;s super easy to get your Italian fix in the Smokies. Enjoy!